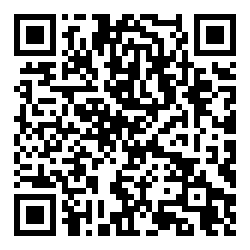 Please contribute video contents created using Toonloop on the web. 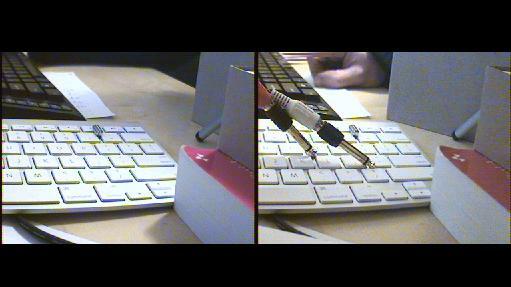 Using the "toonloop" tag on web sites such as Youtube is the easiest way to share clips done with Toonloop. Please put your image screenshots on flickr with the toonloop tag. Other social media web sites can be used to share screenshots with the same keyword. Here are some screenshots of Toonloop Full. 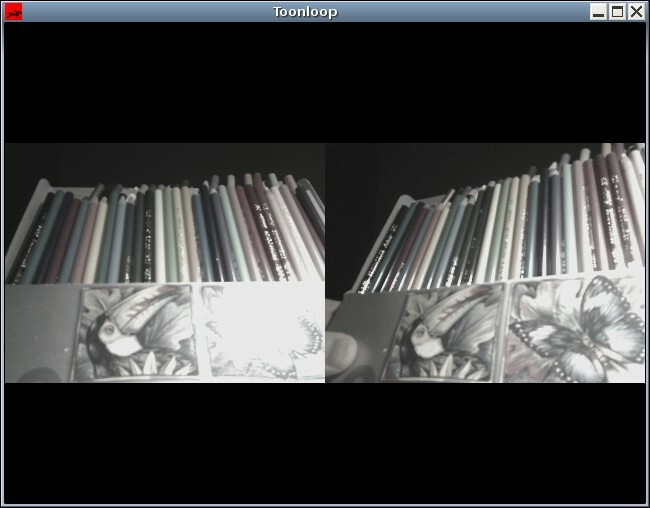 Screenshot of Toonloop with the lumakey effect. Here, it is used with a background image. The foreground image is a black drawing on a white sheet of paper. The image is reversed and a luma keying is done, which lets only the white drawing be displayed over the colorfull background. 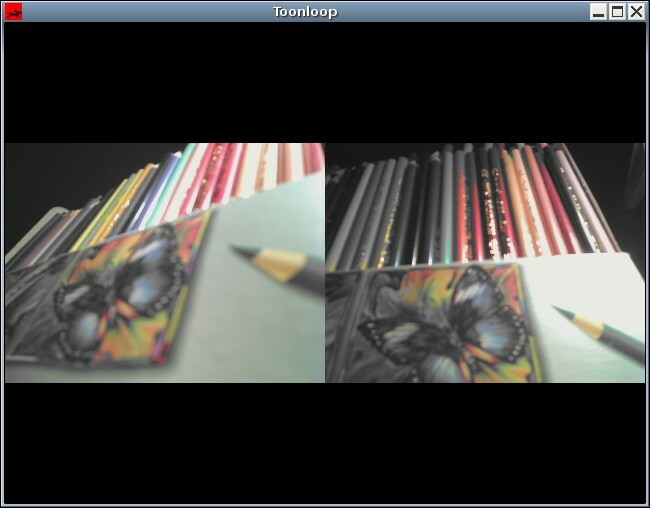 Screenshot of Toonloop with the leavecolor effect. All colors all desaturated except those close to the target color. In this picture, orange is chosen. 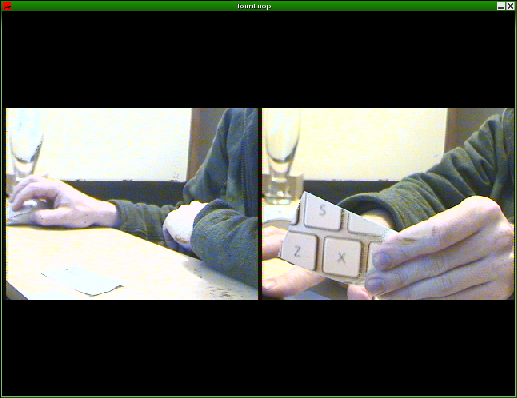 Screenshot of Toonloop with the chromakey effect. Here, the white color is removed from the front image. Usually, the green or blue color is used as a keying color. 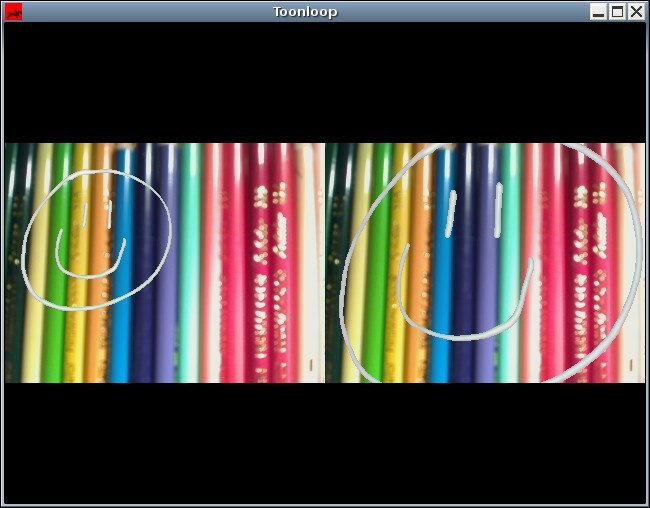 Screenshot of Toonloop with no effect.